Informazione prodotto "Zomo DJ-Trolley LTX-2 - *Second Choice*"
The second version of the successful Numark trolley is produced in cooperation with Zomo and combines the quality and innovative force of both brands. Through this perfect union, a bag has been created that is almost perfect for people who need a huge trolley bag with the maximum space for records. 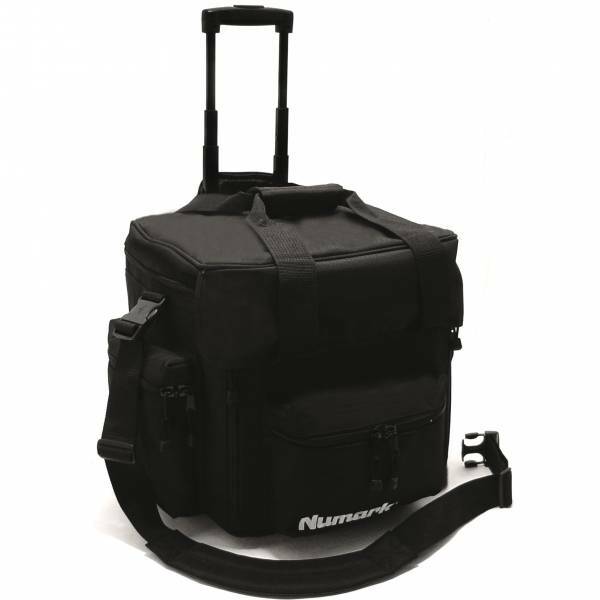 In this version, the trolley frame is integrated inside the bag, which makes the transport much easier and more comfortable. The trolley frame is also protected against any damages and bumps! With the Numark Trolley LTX-2 it´s possible to transport 100 records very comfortably and in combination with the Numark LPX-2 you can transport around 190 records! The sturdy shoulder strap and the convenient handle allows you to carry the trolley bag very easily when the trolley can't be used. 3 huge outside pockets, a 2.5 cm foam inside and a extending front (flip) are just a few new features. The aluminium frame has a 100 cm telescopic trolley frame and high-quality rollerblade wheels. It has also been improved again by the Zomo technicians to increase stability similar too an aluminium flight case. Sheer genius and totally cool. It's Zomo. Second choice articles are demonstration devices or samples. Its possible that the packaging is either damaged or completely missing. Apart from that some of these articles have small optical defects (traces of use). They do not have any effect on the operativeness of the product. 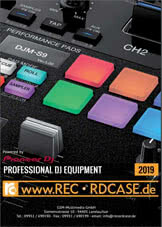 Sii il primo a scrivere una recensione per: "Zomo DJ-Trolley LTX-2 - *Second Choice*"